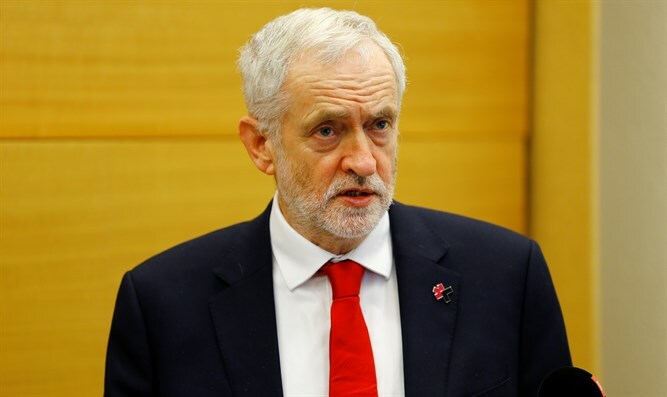 The British Labour Party suffered another blow after Jewish donor Sir David Garrard announced that he would no longer support the party in light of the ongoing anti-Semitism scandal it faces under leader Jeremy Corbyn. Garrard told the Observer that the Labour Party he had supported for years "no longer exists," and that he viewed the party's inability to deal with the anti-Semitism within its ranks with “growing dismay and foreboding." “As one of the former leading political and financial supporters of the Labour party, of which I was a member for so many decades, I no longer feel any affinity with, or connection to, what it seems to have become,” he said. “I have watched with dismay and foreboding the manner in which the leadership has, in my view, over the last two years, conducted itself." “I consider that it has supported and endorsed the most blatant acts of antisemitism. And yet it has failed to expel many of those who have engaged in the grossest derogatory fantasies about Jewish/Zionist conspiracies – and Jewish characterizations and accusations which conjure up the very kind of anti-Semitic attacks that led to such unbearable consequences for innocent millions in the past. So there no longer exists a party which even pretends to maintain and promote the principles and the integrity of what always was, to me, the Labour party." Garrard has contributed £1.5 million to Labour since 2003. Last month, a staunch ally of Labour UK chief Jeremy Corbyn and a leading candidate for a special election to fill a vacant parliament seat dropped out of the race Sunday, after it was revealed that she had equated Israel’s efforts at self-defense to the Holocaust.